NEW FACTORY ORIGINAL SAMSUNG BN59-01266A SMART 4K ULTRA HDTV REMOTE CONTROL (BN5901266A / RMCSPM1AP1). Compatible with: QN65Q7FD, UN75MU630D, UN50MU630D, UN65MU850D, UN43MU630D, UN55MU630D, UN55MU650D, UN55MU700D, UN55MU800D, UN65MU650D, UN65MU700D, UN65MU800D, N75Q9FAMFXZA, UN40MU6300FXZA, UN40MU7000FXZA, UN43MU6300FXZA, UN49MU6500FXZA, UN49MU7000FXZA, UN49MU7500FXZA, UN49MU8000FXZA, UN50MU6300FXZA, UN55MU6300FXZA, UN55MU6500FXZA, UN55MU7000FXZA, UN55MU7500FXZA, UN55MU8000FXZA, UN55MU9000FXZA, UN65MU6300FXZA, UN65MU6500FXZA, UN65MU7000FXZA, UN65MU7500FXZA, UN65MU8000FXZA, UN65MU9000FXZA, UN75MU6300FXZA, UN75MU8000FXZA, UN75MU9000FXZA, and more! NEW FACTORY ORIGINAL SAMSUNG BN59-01266A SMART 4K ULTRA HDTV REMOTE CONTROL (BN5901266A / RMCSPM1AP1). UN55MU6500FXZA, UN55MU7000FXZA, UN55MU7500FXZA, UN55MU8000FXZA, UN55MU9000FXZA, UN65MU6300FXZA, UN65MU6500FXZA, UN65MU7000FXZA, UN65MU7500FXZA, UN65MU8000FXZA, UN65MU9000FXZA, UN75MU6300FXZA, UN75MU8000FXZA, UN75MU9000FXZA, and more! 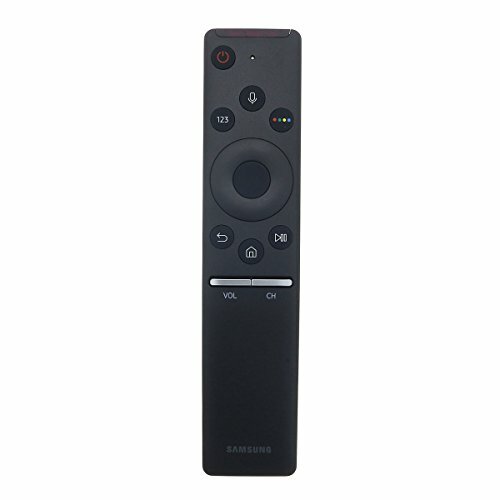 Samsung BN59-01266A remote control with Bluetooth Voice Commands. Compatible with many similar models.